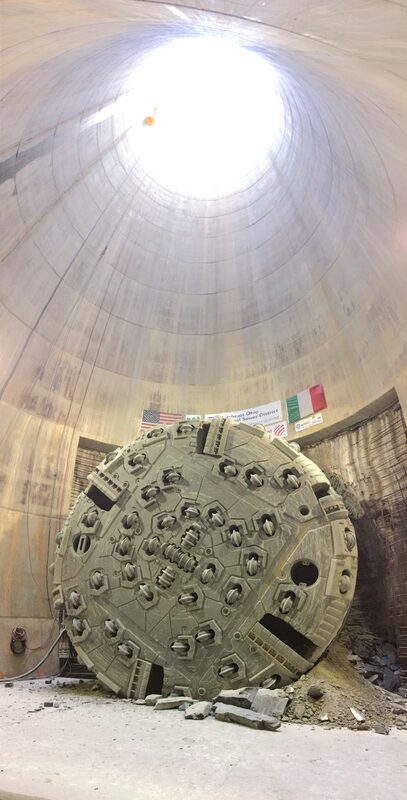 Tunnel boring machine reaches her destination on March 21, 2018, completing her Dugway Storage Tunnel dig. 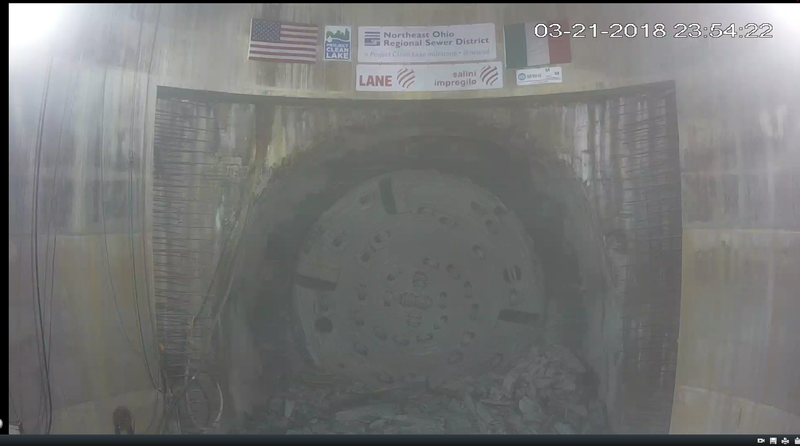 When the tunnel boring machine emerged from the shale near the stroke of midnight on March 21, 2018, it signaled the end of her journey but only a milestone on Project Clean Lake‘s map towards a cleaner Lake Erie. Project Clean Lake is a 25-year program, a combination of system and treatment plant construction and green infrastructure enhancements that scheduled from 2011 through 2036, that will reduce combined sewer overflows and improve water quality in the region. Once online in 2019, the Dugway Storage Tunnel will capture more than 370 million gallons of sewage and stormwater for treatment.